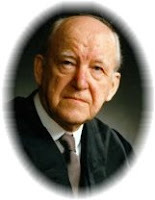 The following words were penned by one of my favorite authors, D. Martyn Lloyd-Jones. What a challenge! Too often we shove prayer to the background while carrying on the "important" things of life. Father forgive me for not availing myself of the access I have into Your very presence! "What is the place of prayer in your life? What prominence does it have in our lives? It is a question that I address to all. It is as necessary that it should reach the man who is well versed in the Scripture, and who has a knowledge of its doctrine and its theology, as that it should reach anyone else. What part does prayer play in our lives and how essential is it to us? Do we realize that without it we faint? Our ultimate position as Christians is tested by the character of our prayer life. It is more important than knowledge and understanding. Do not imagine that I am detracting from the importance of knowledge. I spend most of my life trying to show the importance of having a knowledge of truth and an understanding of it. That is vitally important. There is only one thing that is more important, and that is prayer. The ultimate test of my understanding of the Scriptural teaching is the amount of time I spend in prayer. As theology is ultimately the knowledge of God, the more theology I know, the more it should drive me to seek to know God. Not to know about Him, but to know Him. The whole object of salvation is to bring me to a knowledge of God. I may talk learnedly about regeneration, but what is eternal life? It is that they might know Thee, the only true God in Jesus Christ whom God has sent. If all my knowledge does not lead me to prayer there is something wrong somewhere. It is meant to do that. The value of the knowledge is that it gives me such an understanding of the value of prayer, that I devote time to prayer and delight in prayer. I've been learning a lot about prayer from men like Hudson Taylor and George Muller who pursued God and trusted in Him. Prayer, over the last 3 months has been a focus of mine (or rather of God with me) and I have been blessed incredibly by a new and greater passion for it. Just today a very cool answer to prayer (akin to the work God did in the lives of Taylor and Muller). I have a friend who is going to Columbia to work among orphans and I wanted to support him. Sunday I asked how much was still lacking. He responded "$200", which I very much wanted to cover. He leaves Thursday, and I could not make the money available by then - however God has blessed both of us! This morning I received a phone call (very unexpected) from a company in Ajax who wishes to hire me for a Scuba dive. $250 for ten minutes work - cash paid on site! After my expenses, this will leave $200 for the work! (I made no effort on my own to obtain this work and I only do about 8 dives a year in Peterborough, an hour away - God clearly is the provider).